A new five-year long program to help students more deeply understand and integrate the teachings into their daily life will start at the end of the month when we adapt FPMT International’s Basic Program to local conditions. It is a practice-orientated, up to 12-subject course for students who want to proceed beyond foundation level study. 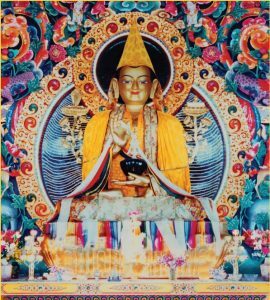 It consists of lectures by Geshe Sonam, a discussion group, homework and tests to help students gain an in-depth understanding of the dharma. 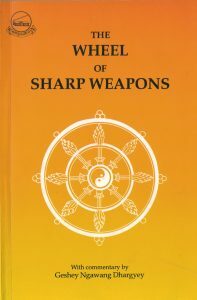 The first subject over 12 weeks will be the famous text on karma, The Wheel of Sharp Weapons. Attend the weekly class, and or listen to the recording of the teaching. Take the test at the end of the subject. Attend the three-month Lam Rim retreat. They are also expected to attend a weekly one-hour discussion group on each class. Please reply to Susan di Bona at spc@hayagriva.org.au by Sun 26 March if you wish to commit to the five-year course. Attendance at Basic Program is by donation.